Elasto Proxy custom-fabricates polyurethane foam for vibration control and shock absorption. 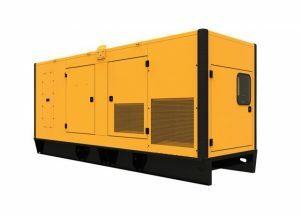 Excessive amounts of shock and vibration can cause equipment to malfunction and systems to fail. In some cases, such as the collapse of a bridge or a building, the results can be catastrophic. Shock and vibration aren’t just problems for architects, however. Designers of vehicles and equipment also need solutions to vibration control and shock absorption challenges. Elasto Proxy custom-fabricates silicone hatch seals for demanding applications. 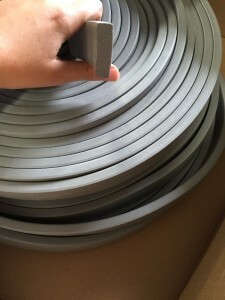 These specialty gaskets support superior sealing with good compression set and temperature resistance. Gasket designers want rubber hatch seals that are as tough as the vehicles, equipment, and infrastructure that need them. If a hatch seal can’t withstand compression, it may over-compress and admit wind, water, dirt, or mud. If a hatch seal can’t withstand a wide range of temperatures and outdoor environmental conditions, seal failure can result, too. If you need hatch seals for military vehicles, mobile equipment, marine applications, or HVAC systems, there’s plenty to think about. Fortunately, help is available. Have you ever wondered why the military uses so many acronyms? It’s because soldiers, sailors, airmen, and marines need to convey information quickly, accurately, and efficiently. 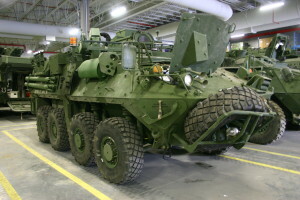 That’s why suppliers to the defense industry are also more likely to hear a term such as “MRAP” than the phrase “mine-resistant ambush-protected vehicle”. For defense contractors who want to win new business, mastering these acronyms can be like learning a new language. Elasto Proxy custom-fabricates polystyrene foams for building and construction projects that require strong, lightweight, waterproof, and mold-resistant materials. Home builders and general contractors need waterproof building materials for kitchens and bathrooms. Commercial construction companies also need specialized materials that can prevent water from weakening structures such as shower frames or sink backsplashes. There are several different categories of water damage, but even the least harmful type (Class 1) can mean costly repairs or renovations. 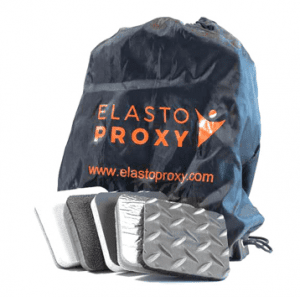 Elasto Proxy custom-fabricates structural aluminum foams into energy-absorbing insulation that mitigates the effects of blasts, shock, and vibration. Engineers and technical buyers need energy absorption solutions that can help protect vehicles, buildings, equipment, and personnel from blast waves. As the threat of terrorism continues, military vehicles and facilities aren’t the only targets for attacks that use improvised explosive devices (IEDs). Today, concrete structures such as office buildings, parking garages, and sports stadiums represent “soft targets” for terrorists. 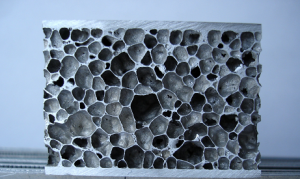 In the event of an attack, energy-absorbing structural foams can decrease blast impulse transfers and help save lives. These specialized materials can also reduce shock and vibration. 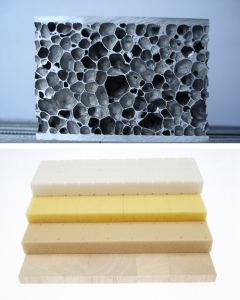 Elasto Proxy custom fabricates strong, lightweight insulation made from structural foams. Applications include custom baths, signs and displays, and blast mitigation.